Angora fibre comes from the fur of the angora rabbit (rather than from the angora goat) and this breed of rabbits has an extra long coat which is clipped every three months. 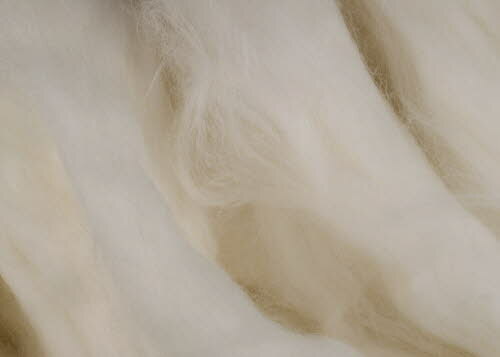 Angora fibre has two important characteristics, it is whiter than any other natural fibre and it produces a yarn with a beautiful furry halo. SAVE - £2.25 - Reduced from £12.90 for 100g to £10.65.